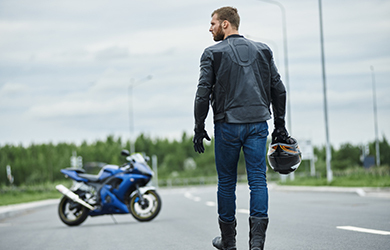 There’s no denying that a leather biker jacket is the epitome of cool, but if you’re actually going to be wearing one for riding, then it serves much more practical uses as well. 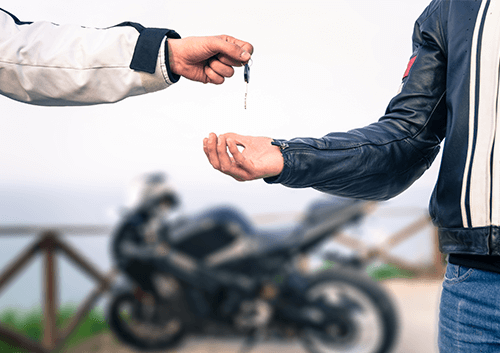 We’re going to take a quick look at some of the factors that go into choosing a proper leather biker jacket, whether you own a bike, are looking to buy one, or just want to do your best Marlon Brando impression! This should go without saying, but if you’re buying a biker jacket, you can’t really look past leather as your material of choice. Comfortable, warm, and thick, leather has been the standard choice for biker jackets for decades helping to protect the rider from the elements, which is especially important when riding during wet and windy conditions, or during the winter months. Even during warmer months, it’ll feel a lot colder when you’re riding thanks to wind chill, but genuine leather will help to keep you warm and dry while you’re out. Of course, choosing the right size is always important when buying a jacket, but it’s crucial when it comes to biker jackets. For example, if the jacket is too small, it’s going to restrict your movement, making it difficult to turn the motorbike, but if it’s too big, it’ll hang off your body and could even get caught in the bike. If possible, try the jacket on before buying it, and even better, try sitting on your bike with it on to see how it’s going to feel. Also take into account the length of the jacket, with mid-waist being the ideal length. Any longer and the extra fabric will probably start to make it uncomfortable to ride after a while. Not all leather jackets are equal, so it’s important to make sure that you’re investing in quality. If you’re only buying your jacket as a fashion choice, and maybe don’t want to spend so much, then you can get away with just buying faux-leather, but if you’re actually going to be riding, you’ll want the real deal. Cheaper leather is usually a lot rougher and gets damaged easier, but a higher quality material will feel much softer and smoother. 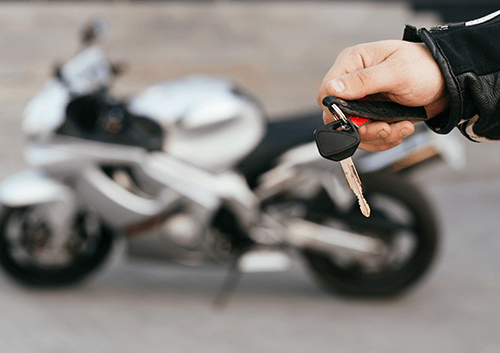 A biker jacket is a big investment, so it’s important that you make sure that you’re getting real, quality leather before parting with your cash! Of course, this is a purely cosmetic choice, but one that’s important nonetheless! While brown and black are the traditional choices, you can pick up leather jackets in almost any colour, such as blue, red, green and grey. It’s common to try and match the colour of your jacket up with the colour of your bike, but ultimately, it’s up to you to find a style that suits you! Most bikers prefer their jacket to have some kind of interior lining made from a soft, quilted material such as cotton or wool. Of course, this isn’t a necessity, but it does help to keep you that little bit warmer, especially during the winter months. So there are just some quick tips on how to choose your leather biker jacket to get you started. 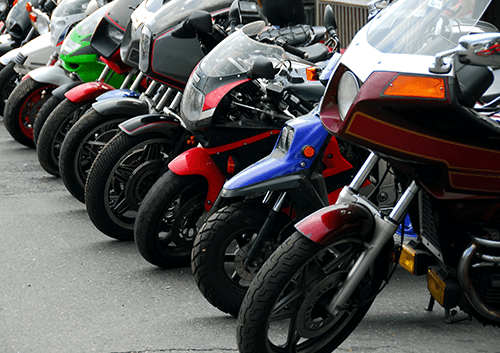 If you’re thinking of trading in your old motorbike and upgrading to a new model to match your slick new jacket, be sure to enter your reg number for a motorbike valuation here at WeWantYourMotorbike.com.